Reviewed by Dan Hastings on April 27th, 2018, playing on Nintendo Switch. Playing games on the go is one of the most appealing aspects of the Nintendo Switch. It is very easy to play a game like Breath of the Wild while on the train, but what if you want to play with friends? The bus driver won't be too happy with you and your friends playing 1-2 Switch as you are driving through the city. 12 orbits is the answer. A very simple game that you can jump in and play with up to twelve people and you can do it all while sitting on a chair. 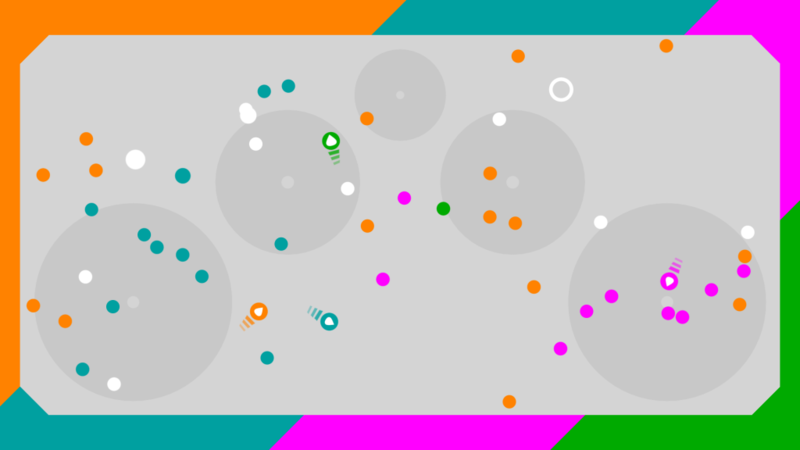 12 orbits is a simple arcade style competitive game where you are in control of a colored circle. There is only one button to control the circle and it serves two functions. If you press the button while inside one of the round fields, you will take orbit and rotate around the field. Press the button again to launch out of orbit. Taking orbit and launching out is the only way to change the direction of your circle which makes for some hectic moments later on in a game. If you press your button while outside of a field you get a short speed boost. In order to win or obtain points, you need to bash your orb into white balls around the arena. Once you bash into them the ball will turn the same color as you. If another player crashes into a ball that is not white or not the same color as them, they are out of the game. There are some other game modes like a pvp snake game mode where you collect the balls and if an opponent crashes into your tail they are out. There are also some team modes which are far more enjoyable to play if you have enough people. While the game boasts twelve players at once, it is an unrealistic limit. The Joycons on the Switch are not that large. Nor is there really enough space around the device to fit 12 hands Although I did not try it, getting this many fingers/hands around a single Joycon sounds like it would be more of a challenge than the game itself. Four players is a more comfortable limit that most people will find enjoyable. 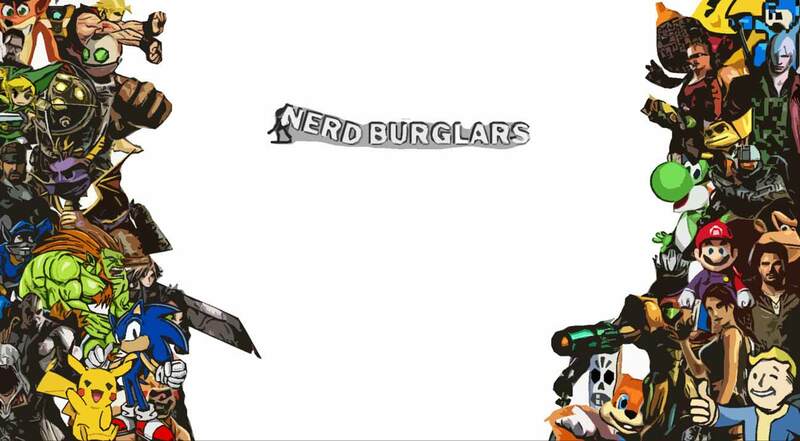 The visual style is very clean and simple. The arenas have a simple background with nothing to obscure your view. 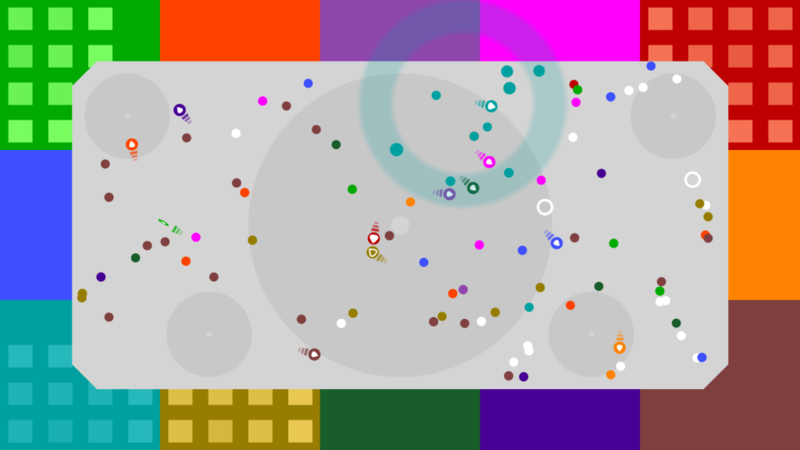 Once you have a few players at once, the screen quickly fills up with color and it looks quite nice. If you are able to manage a twelve player game then you will be very thankful of the simplistic design. The menu and UI are snappy and responsive. Adding new players is an immediate process and it is very easy to setup a game and add all the players you want. No issues with syncing players and making sure everyone knows who they are. The simplicity is a real bonus when you want to introduce new people to the game. A minute or two is all you need to explain the rules and how to play. Ideal if you want to pull this out on the bus or train and play with people. The biggest flaw of this game is the dependency on others to be able to play. There is no online multiplayer and there is no solo game mode. If you want to play the game you MUST have at least one person sitting with you. Online multiplayer would have made a lot of sense for a game like this. Particularly in a world where having friends over to play games is on the decline. 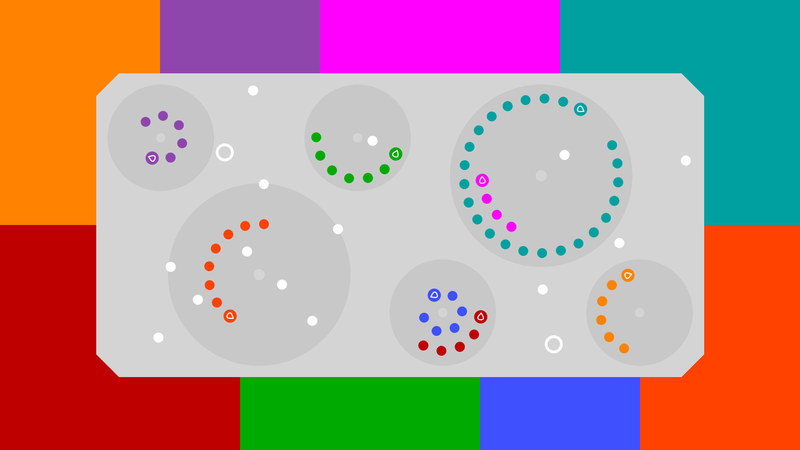 12 orbits is a fun little game to play while you are traveling. Although it supports a lot of players, it is not a party game. If you are sick of playing card games or tic tac toe while on long journeys then this is the perfect game for you. A simple concept with a very clean design makes this game a nice treat to play if you are stuck in a confined space for a period of time. The gameplay is very easy to explain to people who would not consider themselves gamers and the rules are so simple that you will have no problem playing it with children. The lack of online multiplayer prevents this game from being anything more than a travel game. Although it is a shame, for the price range this game is a worthy purchase for those who travel frequently.